Fall is simply fabulous in Southwest Wyoming’s Sweetwater County. Grab your camera—anything from your smartphone to a camera with interchangeable lenses-- and take off on a photo safari. Sweetwater County, located halfway between Yellowstone and Canyonlands National Parks in southwest Wyoming, is home to 10,500 square miles of pure, high desert adventure. Known as “Flaming Gorge Country” the area is characterized by the 91-square-mile Flaming Gorge Lake, the famed Green River, expansive deserts and rugged mountains. Here are just a few of the adventures that will keep your camera clicking. 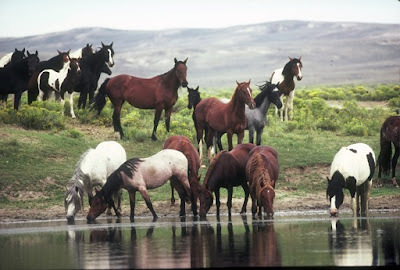 Herds of wild horses still roam in Southwest Wyoming. The wild horse herds that make their home in Sweetwater County prove that the spirit of the American West is still alive and well in this part of Wyoming. These majestic creatures wander through the high desert landscapes of Sweetwater County in search of food, water, shelter and a place to roam free. The Pilot Butte Wild Horse Scenic Loop is the best way to see the horses in their natural habitat, and early morning or dusk are prime viewing times. Plan on at least 1.5 hours for the tour, and since there are some gravel roads to traverse, a high-clearance vehicle is recommended, along with a full tank of gas, a spare tire and plenty of drinking water. There are scenic overlooks along the way to help capture the perfect Kodak moment with these mustangs. Download the Wild Horse Brochure to learn more. The Red Desert of Sweetwater County supports an abundance of wildlife, despite its scarcity of water and vegetation. The largest migratory herd of pronghorn antelope in the lower 48 states and a rare desert elk herd, said to be the world's largest, live in the desert of Sweetwater County. The best place to catch a glimpse of these elusive elk is in the area surrounding Killpecker Sand Dunes. 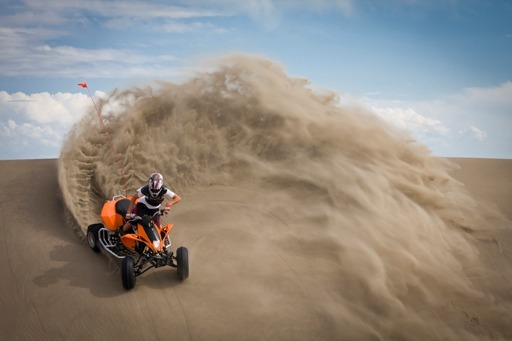 Those who have their own ATVs can also spend extra time frolicking in the sugary sands of the second-largest active sand dune field in the world. 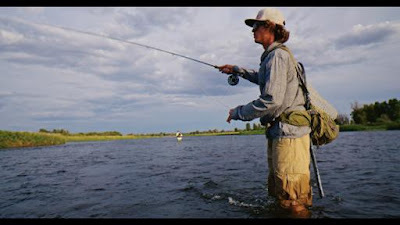 Fishing is a favorite sport in Sweetwater County, Wyoming. Seedskadee encompasses more than 27,000 acres that protects a host of different varieties of wildlife. This corridor of the Green River is an important migration route and nesting area for a wide variety of migratory waterfowl and passerine bird species. The refuge is also home to big game, small mammals and tiny insects. Formerly, this area was used by nomadic Indian tribes, fur trappers and early pioneers. In fact, the Oregon and Mormon Trails both cross the refuge, and ruts of these trails are still carved into the land today. It’s just one of the areas in Sweetwater County where visitors can view more miles of still-visible pioneer trails than anyplace else in the country. 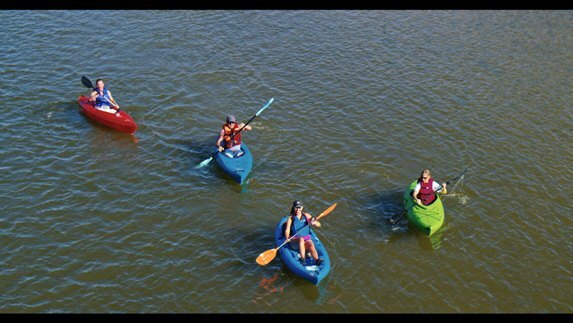 Friends enjoy kayaking when not spotting wildlife. The opportunity to view wildlife in their natural habitat entices many visitors to Sweetwater County, but beyond that you can choose to go camping, hiking, biking, fishing, golfing, sightseeing, hunting dinosaurs, shopping, or just getting away. A perfect place to explore American history, Sweetwater County is also home to petroglyphs, pioneer trails, and historical museums. The Rock Springs-Sweetwater County airport was recently ranked 37th on a list of 322 airports from around the country by Travelmath.com. 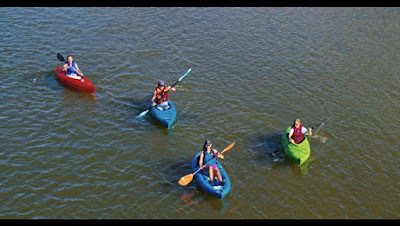 For more on planning a fall trip to Sweetwater County, visit www.tourwyoming.com.